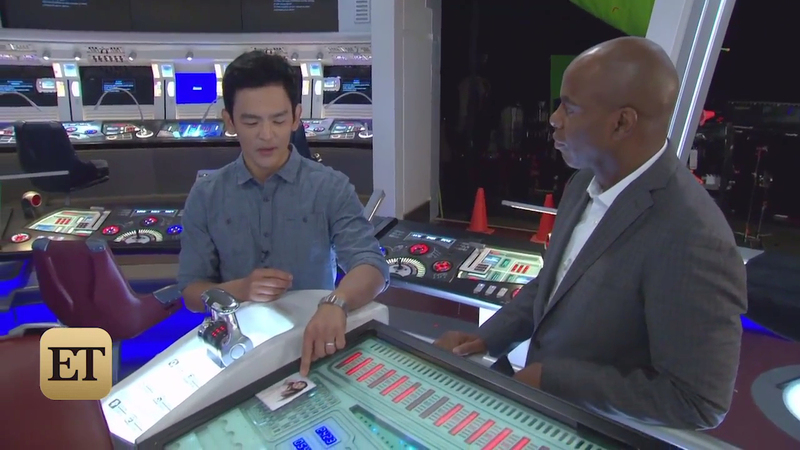 Entertainment Tonight have been on-set for the filming of Star Trek Beyond, and have now posted some videos, including interviews with the cast, revealing some interesting new titbits, particularly regarding Sulu. If you're spoiler averse I doubt they've let anything big out of the bag, but there is some new info. 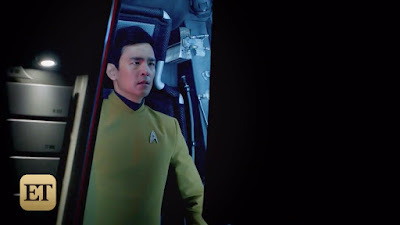 So Sulu has a daughter already in the new timeline! This would bring his daughter's birth ahead about a decade of his prime-timeline Demora Sulu, who we met on the Enterprise-B in Generations. At the beginning of the movie, we're all sort of getting to a, uh.. We're all home sick. And we're getting into our ruts, and we've been around each other too long, and that's sort of where it starts. And Sulu has a heartache for his little baby, and has brought his picture to his console. 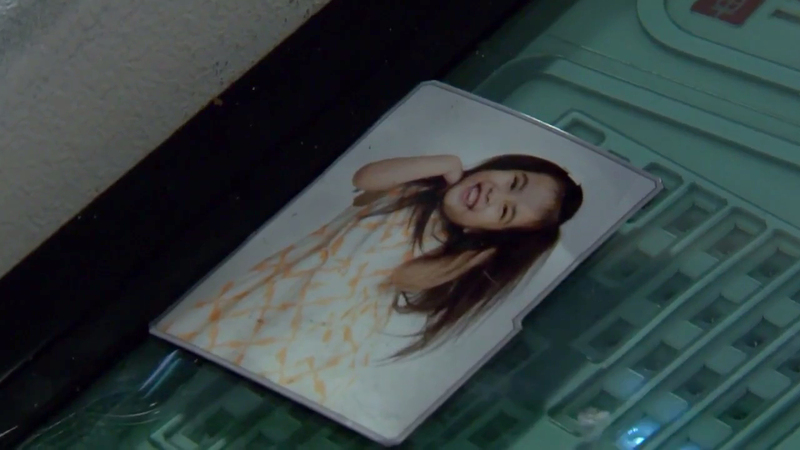 There is another revelation you'll find out in regards to this baby, but you'll have to wait to see the movie. On this one you'll notice there's been ageing. It's like there's two years into the mission, so there's wear and tear on the ship. Entertainment Tonight have posted several videos from this set visit on their YouTube channel. Some of the footage is repeated across the different videos, but they all offer something new as well. 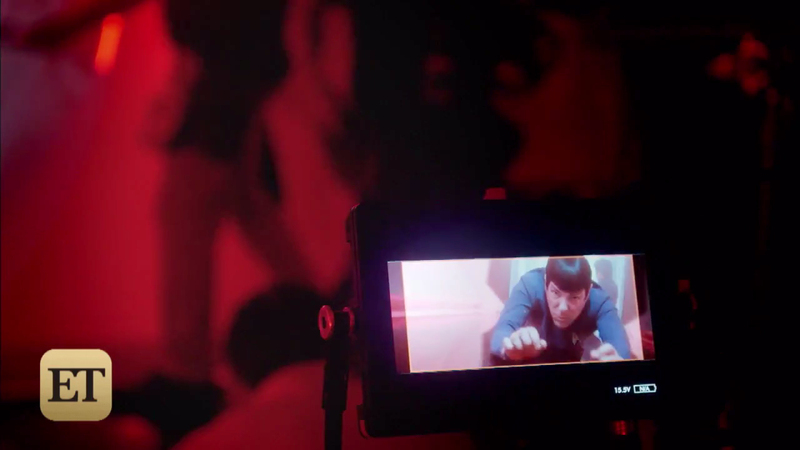 The second video focuses more on looking back to classic Trek and marking the fiftieth anniversary, as well a noting the legacy of Leonard Nimoy. 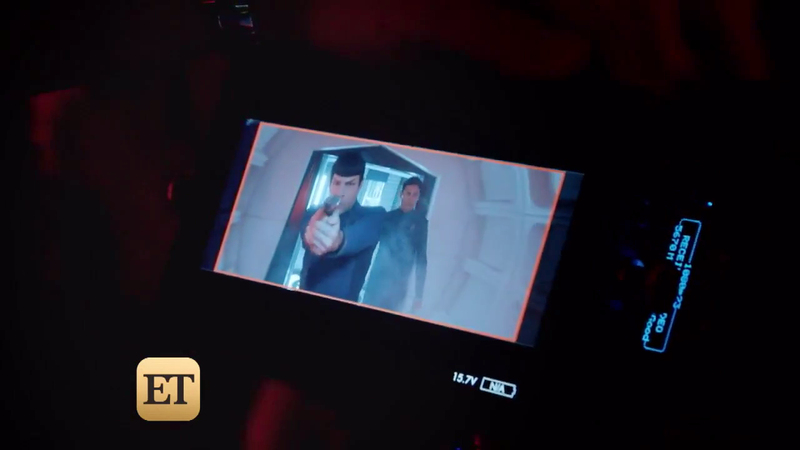 The third video explores the sets a bit more, and gives us a few more glimpses at filming. 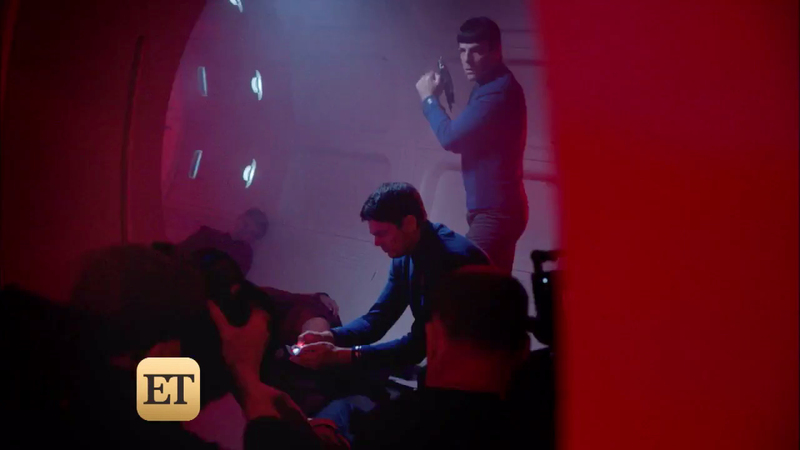 They seem to have been shooting two scenes when the Entertainment Tonight crew were around, one with Spock and McCoy wondering the Enterprise's corridors, including finding injured or dead crew, and apparently also suffering problems with the artificial gravity. And there's also Sulu in what looks like one of the escape pods seen in the trailer. 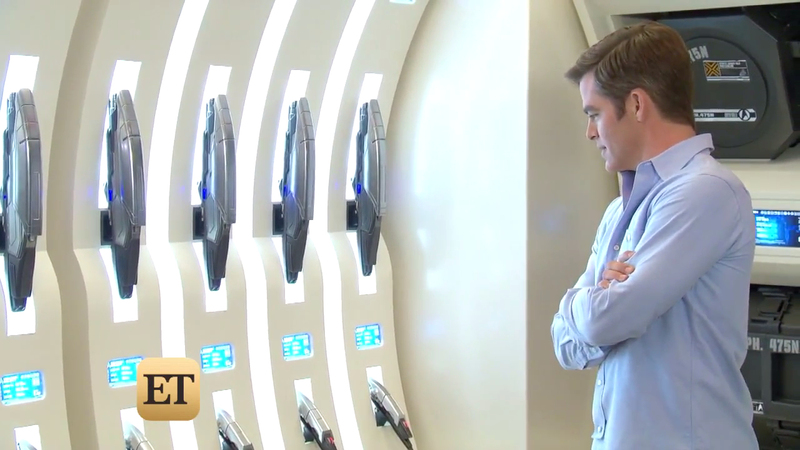 For further behind the scenes glimpses from Star Trek Beyond, check out the previous report from Access Hollywood. 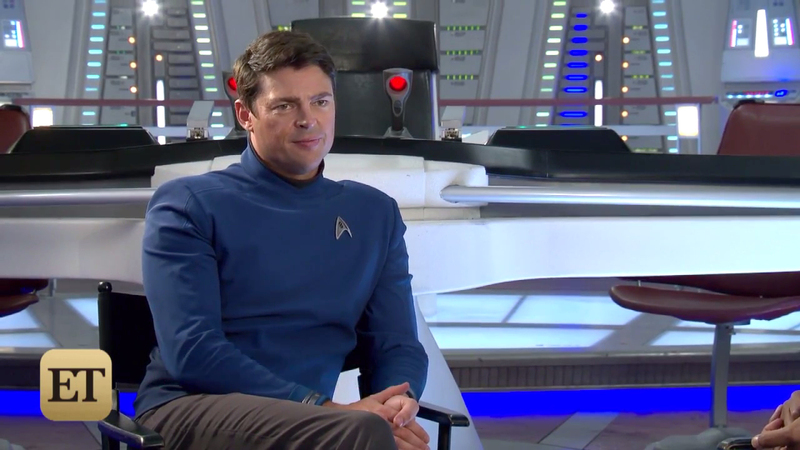 And to keep track of all the latest information on the film, visit my Star Trek Beyond guide page. Is this his daughter Demora that he had in the REAL ST universe! Claim free satoshis from CLAIM BTC Faucet. Up to 57 satoshis every 20 mins.